If you’re quick like a bunny, you can still get these in someone’s Easter Basket by this Sunday. 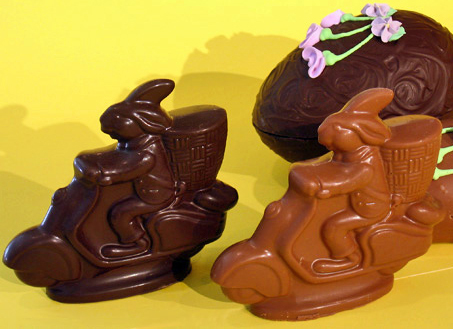 The Lambretta Bunn comes in dark and milk chocolate and is 5″ and $6.25. The large chocolate egg is filled with chocolate rocks (?!) and is $21.00. Thanks to Julie G. for these finds. 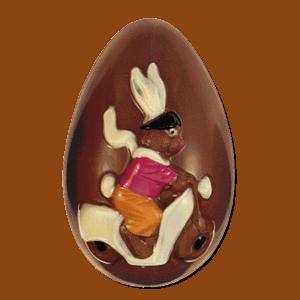 This entry was posted in Holiday and tagged bunny, chocolate, Easter, egg, lambretta, rabbit, scooter by Tracy. Bookmark the permalink.